Whether you consider it a must-have or a nice-to-have, installing a new air conditioner is the best route to maximum comfort at minimum energy expense. When you are looking for a replacement or adding a new system, you’ll want an experienced and well trained contractor, certified by the Environmental Protection Agency (EPA) to handle refrigerant. For the Inland Empire area, that’s Design Air. With over 30 years of experience on all makes and models, we’re a Rheem Top Contractor and authorized dealer. Design Air is family owned and operated with an emphasis on quality, friendly and dependable customer service, and competitive prices. If you’re wondering if it’s time to replace your central air, consider that they typically last 10 to perhaps 20 years. If you’re A/C unit is approaching that ten year mark then it’s time to consider installing a new air conditioner. Here are a few conditions that tip the balance towards a new HVAC system. Is the existing unit actually keeping your house or other type of building cool? Has it needed several repairs over the last few years? Is it too noisy, or has it recently become noisier? Does it run excessively or frequently cycle on and off? Is a suitable replacement refrigerant still available? How old is your unit? Units over 10 years old are hard to find parts and are often more expensive to repair due to the parts not being manufactured any longer. Newer equipment has higher SEER ratings (seasonal energy efficiency rating) than equipment that was installed even one year ago, in the range of 14 to 20 SEER. If your existing A/C is 13 SEER or lower, just by changing to a standard new comfort system you’ll see additional benefits in your electricity bill savings. Installation of a new central air conditioning system also increases the value of a home, and is so much more cost effective and comfortable than dripping, noisy, and ugly window units. Beat the heat with our highest-efficiency air conditioner featuring a two-stage compressor and variable-speed fan that quietly delivers optimum comfort and better levels of humidity control with up to 19 SEER. Pair it with a complete Observer® communicating system, including the Observer communicating wall control with Wi-Fi® capability, for the convenience of remote access along with improved energy-saving performance and comfort management. Design Air’s in house installation technicians are certified and experienced in fast, efficient and excellent comfort system installation. Your installation will be performed by a full team of experts for fast and efficient installation of the best air conditioning and air handling equipment. Our experience and training covers all sorts of air conditioners, including: complete HVAC systems, split systems, package units, heat-pumps, wall heaters, duct-less a/c / heat-pumps (mini-splits), air handlers, air conditioners, whole house fans and attic fans. We offer new duct work installation and repair, at a lower cost and with less disruption than you might expect. Our installation services include duct work, wall, ceiling and floor registers, intake grills, and blown-in attic insulation. Before we start an installation we will perform a load calculation that will determine the proper size of equipment your home or building requires to keep you at optimum comfort. 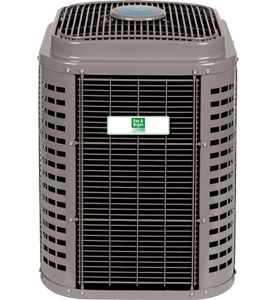 For installations, we focus on Rheem equipment, a leading name in air conditioners. We’ll work with you to determine which of the following main options are best for you and your home, and then zero in on the exact model that best meets your needs and preferences. 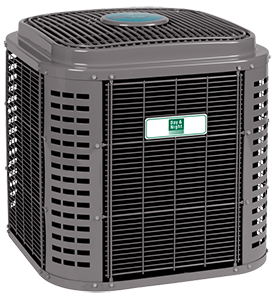 Classic Series With a SEER rating of 14 – 16.5, these units balance efficiency and cost. They’re unusually quiet and have a 10-year conditional parts warranty. Classic plus Series With SEER ratings up to 16.5, this series combines established technologies with advanced comfort and operational monitoring, providing long-lasting performance. They’re quiet, and feature a 10-year limited parts warranty. Prestige Series Having higher SEER ratings, reaching up to 20 SEER, Prestige units incorporate a 2-stage variable speed compressor design and other energy saving features such as a variable speed fan. Quiet and with improved humidity control they deliver unequaled comfort. They come with 5-year unconditional total replacement warranty and a 10-year limited parts warranty. Design Air is the Inland Empire’s HVAC experts, ready for your new air condition system installation and here to meet whatever your cooling needs might be. Design Air provides fast response air conditioning installation services to all Moreno Valley, Riverside, Norco, Corona, Loma Linda, Perris, Beaumont, Yucaipa, Fontana, Redlands and San Bernardino, California. Schedule your service today. Description: Superior Quality, Delivered as promised, Ahead of schedule, as in, extremely fast, and accurate! Very professional owner and crew. 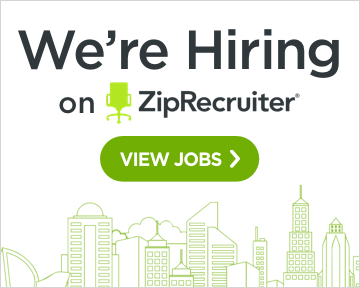 Flexible and patient with questions, I did a “COMPLETE” A/C / Heater/Ducts/Outlets change. and, was done in 4 hours!! Pretty Incredible!! A few years ago my AC unit quit working and Design Air installed a new much more efficient unit at a very fair price. Last week the AC motor stopped working and Design Air responded in less than one hour of being contacted. A new motor was ordered and installed a few working days later. True to their word they warranted the motor and the only cost was a minimal service charge. No game playing here just good old honest service and prices. I highly recommend this family owned business for all heating and AC needs.